Law Of Attraction Workshop @ The Corinthian Club, Glasgow! Join me, Carly Dawson for a full day of inspiration, clarity and manifesting magic! End 2017 on a high by giving yourself the gift of clarity, focus and FUN - create your very own alignment practice to help you manifest your dreams in 2018! >> Ready to LIVE YOUR BEST LIFE IN 2018? >> Eager to learn how to use the Law of Attraction in your life to become a magnet for your desires? >> Ready to stop playing small and settling for LESS than what you truly desire? >> SO OVER reliving the same year again and again. >> Ready to experience deeper, joy, love, adventure and satisfaction in your life? - Breaking free of unhealthy recurring relationship patterns and finding true happiness and security. - Discovering how to raise my vibration daily and putting my own wellbeing first whilst raising my 3 boys. - Investing in myself, my own fun, freedom and personal development. - Bringing forth and finally stepping into my big dreams and visions to serve the world by teaching others to manifest their hearts desires! 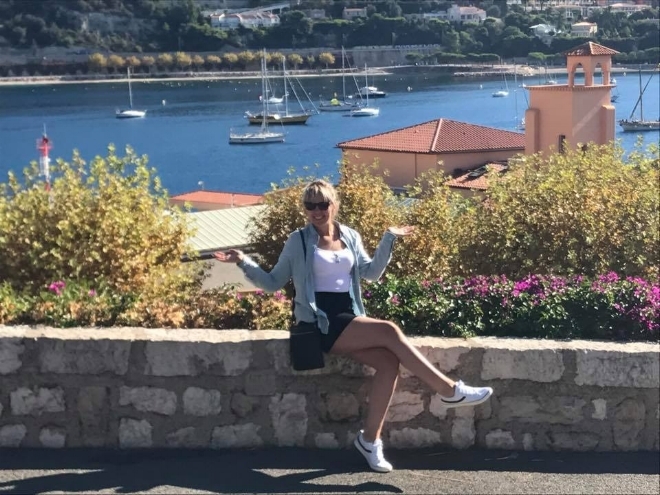 As a result of investing just 10 MINUTES A DAY into my own personal alignment practice I released the resistance that was holding me back from receiving all the good that life had queued up for me..
- A fabulous and exciting business idea that resulted in funding and support from Princes Trust to take it to the masses! - Travel to California, America to attend an event with my dream business mentor which resulted in many friendships made and opportunities to collaborate with fellow co-creators! - A whole circle of new, aligned high vibe friends and peers from all over the world! 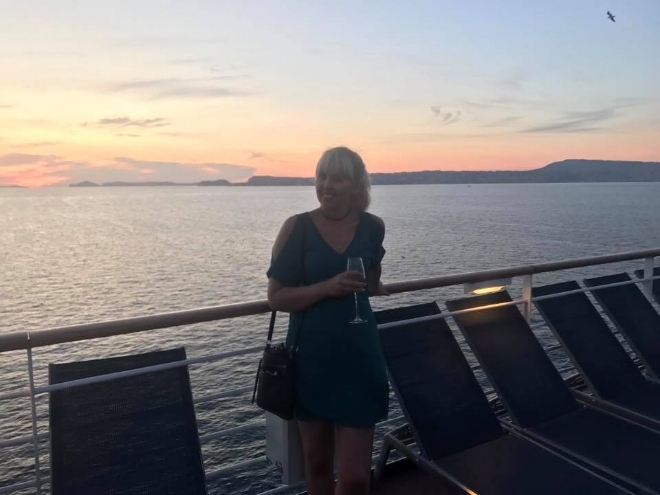 - Fulfilling my dream of meeting my spiritual mentor and metaphysical teacher Abraham Hicks by attending the French Riveria 10 Day Cruise and having a truly magical experience! - Facilitating a high vibe, law of attraction meet up group and bringing together fellow co-creator friends who play, bask, learn and grow together. - Dedicating 2 months of my life to creating my 30 day online program (30 Days Of Happy) to help others transform their lives. - And now fulfilling my dream of hosting law of attraction workshops that inspire, uplift and educate others whilst having a damn good time!! I would like to emphasise the point that as little as a few years ago my life was at rock bottom and I was experiencing anxiety, depression and suicidal thoughts. You truly CAN turn your life around and create a reality that has you jumping out of bed in the morning with excitement. If I can do it as a single parent who battled with YEARS of depression and chronic unhappiness then YOU CAN TOO!!! The question is, are you willing to allow it? Are you ready to get clear and focused on your hearts desires? Discover how to release blocks and resistance that are keeping you stuck, define what you TRULY want from life and become a vibrational match to your desires! - My secret toolbox of 5 alignment practices that I use to raise my vibration everyday and attract my desires with ease! 1. Affirmations - Get ready to create your own unique affirmations based on your desires that will help you fly into your vortex! 3. Journalling - Take a peek inside my journal as I share with you the EXACT journaling processes I use to manifest my desires. 4. Visioning - Discover how I download visions in my minds eye and then watch them play out in "real" life and how you can too! It's time to harness your creation powers! 5. PLAY! - Can you tell I'm excited by this? We'll be using adult hula hoops as a tool to move and connect with your body, raise your vibration and tap into your subconscious mind. Your inner child is desperate to come out and play, during this workshop we'll be doing just that! In learning and applying these practices you're life will never be the same again! These practices will serve you month after month and year after year and will continue to evolve and keep you high vibration and aligned with your ultimate desires. This workshop truly is a gift to yourself that just keeps on giving. Where: The Corinthian Club, Glasgow in the Mercer room. *Please attend wearing comfortable clothing for movement. *Bonus* As a special gift for attending this workshop you will receive access to my online program 30 Days Of Happy at £99 value! At this time of year when you're busy buying everyone else Christmas presents why not give yourself the GIFT of a full day of fun & magic that will serve you for years to come! **Please note, there are very limited spaces available due to the nature of this workshop so book now to avoid disappointment!